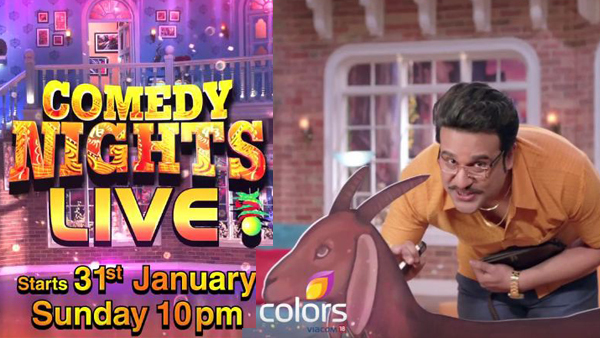 ‘Comedy nights’ show has gone to dogs. Period. This post is all about the angst against the duffed up entertainment with the change of hosts. Yes! I have invoked Shakespeare to deal with this burden of viewer agony. I have borrowed this plainly without reading the eternal script and it doesn’t take a genius to understand its (the quote) meaning. That is the whole duffing point. In times of such high needs (in India & around) for good humor, even normality or un-originality can serve much better than profanity. 1a) Background on hosts – There are three visible stars, as seen within the ongoing timeline of the show i.e. Krishna, Bharti & Sudesh Lehri. Krishna is a dancer wannabe superstar and a half-committed comedian. He seems confused between his propensity for stardom & his sustenance as a comedian, that is just a stock act to propagate his career & chase his fonder dreams. He is erring like a broken record with endless & untimely tributes to Govinda as a show filler. His real personality as an interviewer is amorphous & confusing at best. e.g. He referred to the glasses of Mika as an attempt to look smart without having an onstage presence, that the honorable guest i.e. Dharmendra was also wearing one! It was ironical at best, as the segue was just about finishing with comments by Dharmendra, i.e. his mantra for youthfulness at the age of 80. It was dealt away with a smile & a comic response from the maestro actor himself. Krishna clearly came across too green on the show’s turf & lacks ability to co-ordinate interviews, also without having any grasp of outstanding improvisations such as kapils’. The genius of kapil is, he did all of this within the limits of comic license while also maintaining the decency of show & dignity of the guests. Bharti is a loud-mouth pseudo comic, she derives slapstick humor at expense of others & demands emotional support on being the only noticeable female comedian in the industry. Her humor is clearly insulting many a times (even to most dignified guests e.g.1), it is downright profane & falls hard on the audience at most times. The periodic laughter that the in house audience generates, is almost like a punishment of compulsory humility & a taken for granted largesse by all of us, the humor deprived people. All her acts are an uncomfortable reminder of our sorry situation with limited options on comedy shows. e.g.1 – At today’s show end she refereed to the star trio as – “ye log itne velle thodi hein ki yahin ruke rahein” ( these people are not so useless to stay here for you (people). There was a momentary pause from the 80 year old maestro Indian actor (Dharmendra) to her comments & it felt harsh even by the most un-orthodox hosting standards. There is a clear lack of comic class , improvising intelligence, sensitivity towards guests-audience dynamism & basic understanding of show’s concept. Personally i think, her on-screen presence is hell on my ears & makes the situation awkward within the purview of family viewing. It is simply an agony not entertainment. I am a viewer i.e. a customer to their TV show business & i am expressing my ire over it. I can only say that i am sorry (but not giving or granting) for all of them. If they have the audacity to resume hosting of the best comedy show without matching to its quality. They have opened a Pandora’s box of abject criticism & they must be ready for it. I feel they have robbed & mocked us on something, which had turned the part of our Sunday nights. 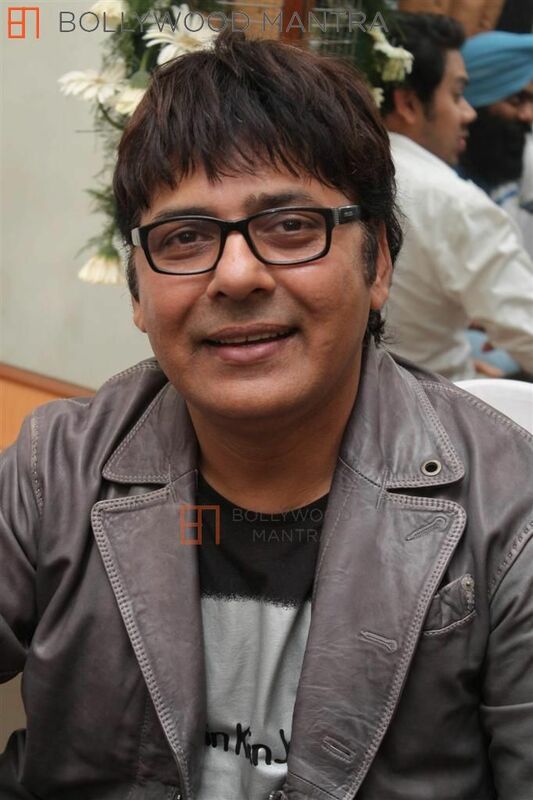 Sudesh Lehri is the only genuine stand up comedian in this rag sack. He is fully committed to being a comedian & it is reflective in his demeanor. However, he is not burdened with the center spot & his credit is usually painted over by these broad stroking limelight hogs. Just like any true comedian, there is this tragedy to his art form. 1b) Falsely Adopting a prodigy : Comedy nights with Kapil is a groundbreaking show. It is a super-hit not only in India but internationally sweeping TRP’s across all major nationalities. The recognition of an Indian comedy show as this is unprecedented! 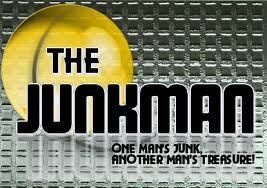 It is simply an intellectual asset of the TV world & pride of our urban heritage. Clean & crass free comedy. Outstanding improvisation as an add on. Suitability to family viewing i.e. suitable for all age groups. Genuine public interaction & their extempore contribution on stage. Good hosting with dignified treatment to celebrity guests. Insightful & fact based interviews advancing fan-star relationship. However, the stooges are doing the usual mistake of running with roasting humor & the comedy of profanity. It is their staple & familiar comfort zone but it is a disgrace even a betrayal to show’s tradition. It is done at expense of guests & even falls too hard on the ear of the organic audience. 2) Who is hosting the show ? : The hosting & interview is a split between the hogs i.e. Krishna & Bharti. It not only breaks the continuity of the show but also leaves the viewers in confusion. Conceptually, the show revolves around a celebrity interview & everything else is an add-on. Until the image of a center stage host is fixed (ringmaster), no act can be profoundly build around it. I cannot remember even one single successful TV interview show in past/present, with changing & unsettling hosts like this one. It gives an impression that the centrifugal drives are missing or too unsorted in their stage script. Further, the hosting part is generally taken as an organic interaction with the celebrities & the lesser known facts from their personal lives are brought to notice. It is only logic that the interviewer must hold up his end as a real person & his personalities or characters can pop in as cameo. Kapil did it by introducing other comic talents as secondary add ons. Here, Krishna & Bharti are in characters even while conducting their ‘less-interesting’ interviews. While on stage, their characters cannot be switched & often we see dolly speaking as krishna & bharti verbally switching with a he/she tone. It is simply too chaotic & doesn’t build up on the dialogue segment! 3) Interacting with people is missing : It is a people’s show and so what made kapil sharma a comedian of people or a champion of people’s voices. Neither Krishna nor bharti have the demeanor that is inviting to set up a genuine dialogue with common audience. Rather as an observation, their behavior is too aggressive & even intimidating that will inhibit any open & expressive interaction with audience. No one from audience is willing to dance,hop, speak or act on the stage. 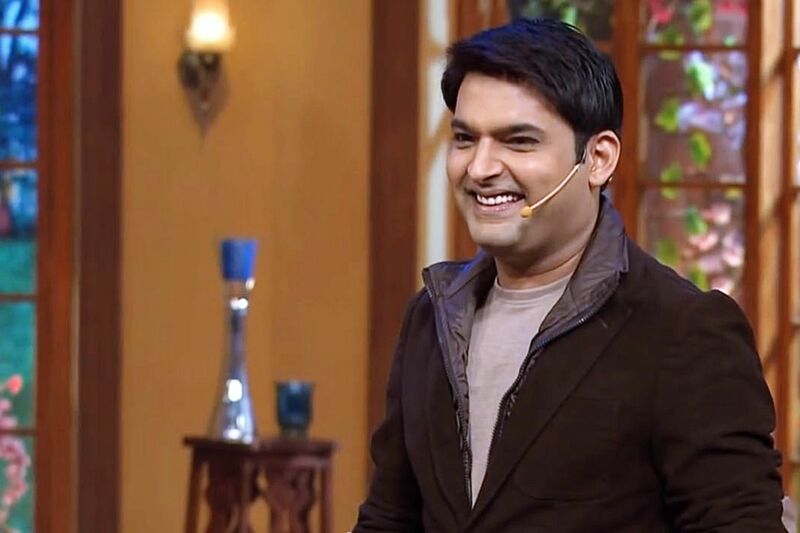 Kapil has said it time & again that the impromptu acts by the in house people, is the major reason for show’s success. 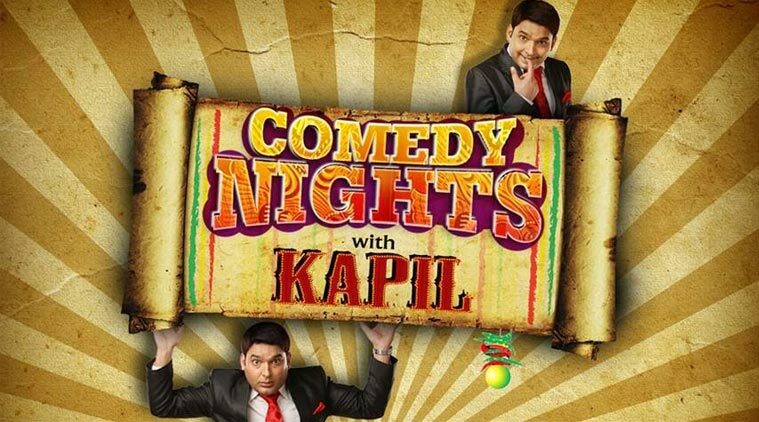 By desperately trying to compete & make a creative equivalence with kapil’s concepts. I think the stooges are killing the U.S.P. & making a bigger mistake in garb of chasing a different route. 4) The great mistake by Kapil Sharma : It is a great betrayal of people’s trust. With no active comic talent hunts in India & not many clean comedy shows. It is imperative that the show must go on with what was working. It is an earnest requirement of the TV world with an otherwise coma state in its dreary milieu. It is even a national duty to do so when the breakdown is so visible & imminent. The show has generated loyalists with a major chunk from the family audience around the world. The unprecedented success & meteoric rise of Kapil Sharma has lead him on false grounds, now chasing lesser dreams. It started with a beautiful idea to entertain people & deviated towards a show pandering to the celebrity creme’ de la creme’, to now an untoward starry eyed chase of a comedian to turn a bolly-wood superstar. He is chasing stardom as an actor-comedian, while the general public has universally accepted him as a comedian & a champion of common man’s voice. He is already on the highest ground available to any artist in the world, i.e. a genuine comedian who reverberates the feelings of people. Time will only tell if Kapil Sharma will realize his forte & his ticket to immortality in a world full of – cliches, copycats & hogging performers. Thank you for reading. If you like this post then share it with your buddies & spread the opinion, as i sincerely feel that public opinion is supreme. After all, we are at the receiving end of whatever comes out of this brew. It is full of commercial bias that is eating out our free loading entertainment. We must raise our opinions and do so vociferously. I hate it when someone take a plunder on my sources of entertainment & deprives me of the humor, in a life full sober reality. I give this new show 2 out 5. how high do you rate it, tell me in the comments. This invitation is for all avid readers, through social forums & your better words. So first & fore-mostly, i request you to share this post with others. Though some of you may not read voraciously, but it may still serve you well in this passing season. Contemplation with this book, shall acquaint you better with the resolution zeitgeist in New Year. 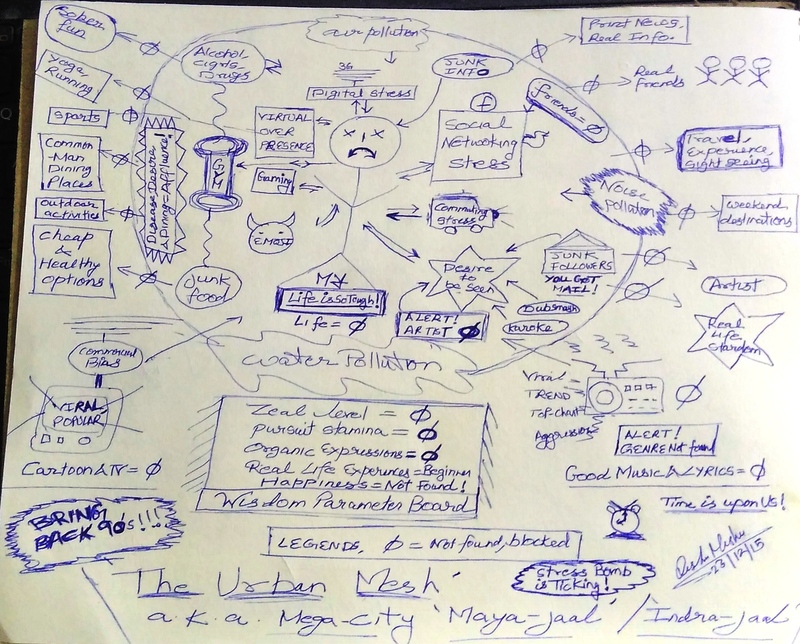 The topic squarely discusses the gaps & stresses in urban milieu, in-dept & variously. The book is well suited for readers on – social essays, urban dystopia & non-fiction narratives (in genre- body, mind & spirit). It is available at Various Amazon e-book stores including – India, U.S.A, U.K. , France , Germany, Japan etc. E-Book Store – Amazon U.S.A. The e-book is available with pre-order on amazon kindle. The book is designed with simplicity & logical illustrations. It engages conspicuous observations from urban lifestyles. The price is nominated at minimum to engage maximum readers.The aim is to enhance mutual social vision with cogent arguments, which may provide a new fillip to necessary but niche debates. All said, It will be released on 10th Jan,2016. Looking forward to your best engagement & review of my short publish. 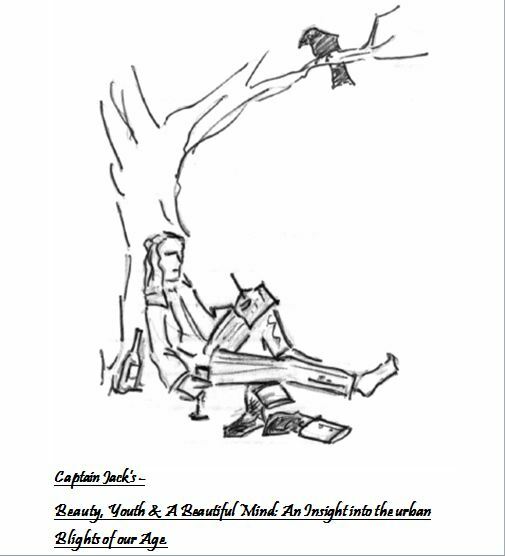 Herewith, attaching –Book Cover, illustration, Print details, synopsis and Book At-glance (snippets) from the e-book hitherto due for release as dated. (available with pre-order ). Please do acknowledge & share it around with people. Print Length : 53 pages. Genre:- 1. Primary (Non-fiction): Body,Mind & Spirit. 2. Sub Genre : Social Essay. You may also avail the below link to download for all the above mentioned attachments. An e-book on urban blights of our age. The world is getting stacked into urban set-ups. The revel of this human pinnacle comes along with some grave ignorance. Boons of technology have taken an untoward hack into our modern lives. Over- digitization of human activities, affects our natural inclinations & organic behaviors. The urban order suffers with challenges of natural & un-natural pollutants. This book discusses such gaps & stresses of mega-cities, which have taken away our gifts of – beauty, youth & a beautiful mind. It is an insightful discussion on the growing urban blights of 21st century. These issues range in – popular, sophisticated & niche problems of new societal order. They are currently too advanced for entailment as a parliamentary debate or to be incorporated into world public policies. However, time is ripe to throw light on them with an astute reformist action. There are undue stresses & gaps in our lifestyles, which need to be addressed sincerely. The overview of these changes within past few decades, can define our understanding of urban utopia. Evils of – digital news, virals-&-trends, commercial biases, must be tendered for sustenance of timeless human values. The book heeds & encourages this debate, to ensure an amicable human environment for our transient & future generations. It is time to take expedient actions & avert this un-seen invasion. It is time to think, debate & act before our world gets digitally colonized. Thank you for your time & perusal.